It’s happened to everyone in restaurant management. You arrive 10 minutes early, walk into the restaurant and immediately, without so much as lifting a pencil, find yourself already an hour or two behind because of the lousy close during the previous shift. What’s more, you know, as the day wears on, you’re going to uncover other issues, keeping you there even longer. Once your open-to-close lists are complete, it’s time to implement them for each position. 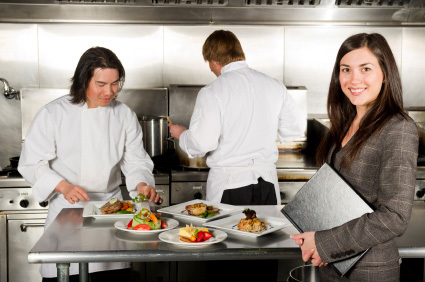 Ignoring close-to-open will have a negative impact on the environment you’re responsible for creating as the restaurant manager. After all, it’s demoralizing for any employee to feel he or she is cleaning up someone else’s mess or doing someone else’s job. Getting the close-to-open tasks down on paper. Involving employees in the creation of the standardized system. Explaining the benefits to the staff. Walking the next shift manager through the entire restaurant, discussing the current shift and reviewing expectations for the next shift. Following up on everyone’s close-to-open tasks. Constant and consistent follow-up will lead to permanent, positive behavior changes from your managers and your hourly employees. You’ve installed a series of checks and balances. As employees pick up and complete tasks they are responsible for, you’ll never enter the restaurant facing surprises due to the previous shift’s shortcomings.